For measuring and stretching rings. 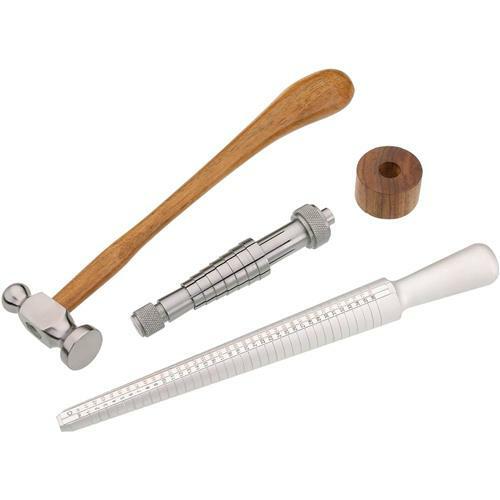 Includes 10" ring sizing stick, ring stretcher with stand and chasing hammer. Instructions included. Have used the product and am happy with the out come. A value for the price.